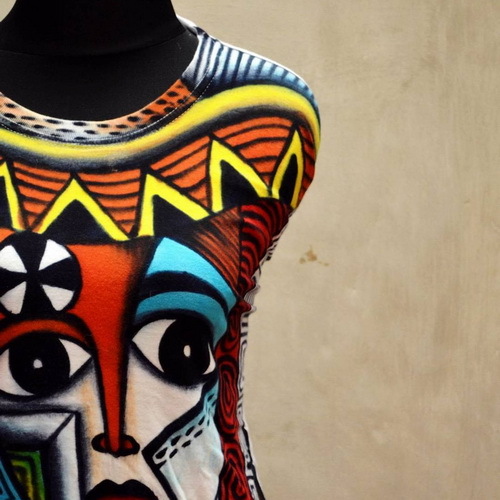 Tinuku ~ Castle T-Shirt Painting studio presents fashion as art. 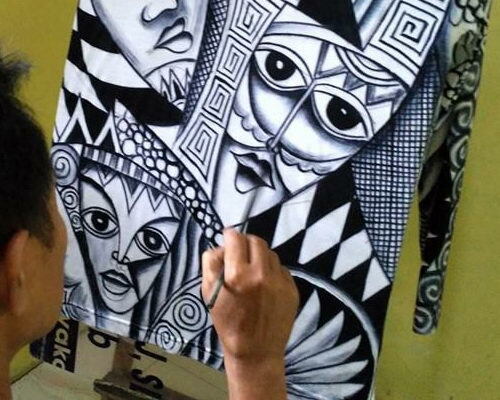 Studio based in Yogyakarta, Indonesia, implementing energy kontenporer painting on T-shirts as a canvas into fashion art. Castle T-Shirt Painting is painting studios scrapes poured beautiful on textile products and offer something different from others. 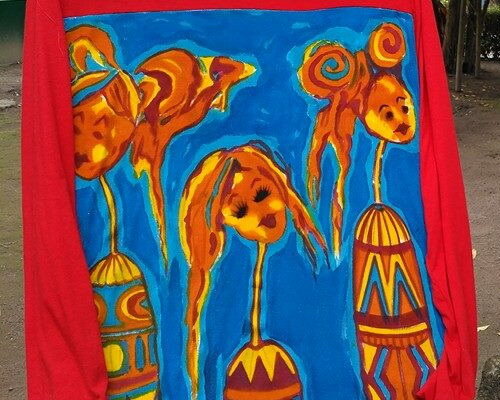 Shirts painted directly just like painting on canvas which processed manually with exclusive design. Plain t-shirts painted with batik dye concoction into work of fashion. 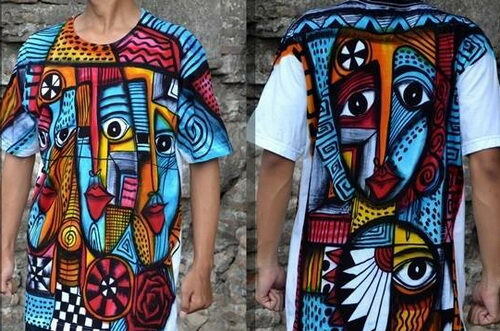 Graffiti artists to paint the walls generally get drawing tool for boutiques and produce different design of each shirt. "No two people wearing the same shirt. Consumers could also order their own design as desired," the studio said. All handmade and without digital methods use to produce excellent quality and unique. 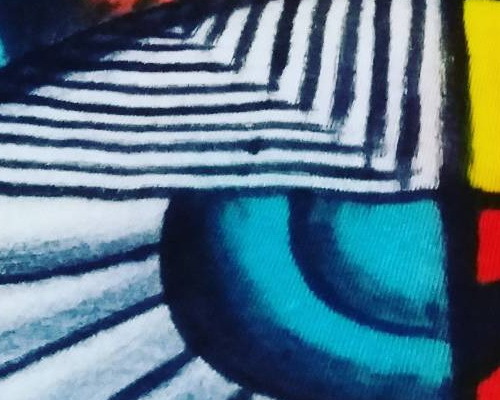 Textile paint applied using brush over cotton shirt before finishing through drying stage and the process of a work takes 3-4 days. Studio more spontanism and applies an abstract play variety of contrasting colors and loud patterns, although they also created realism object works. Dimensional designs meet most at the front and continued with smaller dimensions on the back also full body colour design. Limited edition T-shirt with cotton absorbs sweat provides comfort to user. T-shirt design painted majority apply distro concept design is not monotonous to avoid saturation.